Need an Emergency Electrician in Keston (BR2)? When your home develops an electrical fault, it can be extremely worrying. You may be tempted to try to sort things out for yourself, especially if it happens outside of business hours, but emergency electrical repairs are not something for DIY. First of all, isolating the cause of the fault needs a methodical approach using electrical testing equipment. Then you need the right equipment and components to solve it. An emergency electrician from South London Electricians could be at your Keston electrical emergency in minutes. Armed with state of the art diagnostic equipment, they will find the cause of a tripping fuse, an electrical burning smell, an appliance that won’t work, flickering lights etc quickly and without fuss. We aim to repair electrical faults on a ‘one visit’ principle – our electricians all carry an extensive range of spares and cables in their vans to make this possible. Half of our vans are electrically powered, so if your electrical fault becomes apparent in the small hours, our arrival is unlikely to disturb your neighbours! We are well known for the neatness of our work and how thoroughly we clean up after or intervention. If you take a moment to look at the comments on Checkatrade, you will soon see what we mean. All of our team are local to south London and know the best short-cuts that will get them to your Keston home a little bit faster. They all have many years of experience and are well-qualified to solve your problem at anytime of day or night, on any day of the year. 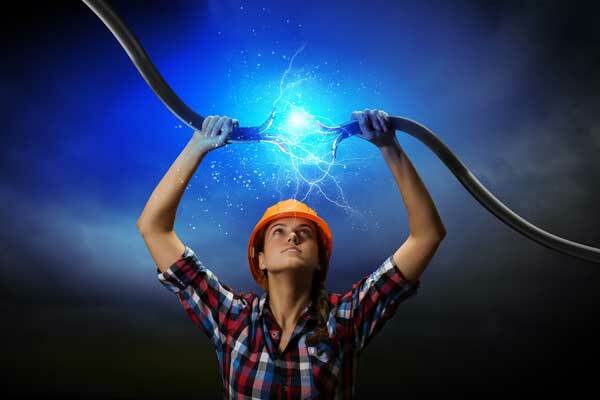 If you need an electrical problem solving quickly, call us. You will reach an electrician straight away, not a receptionist, not a call centre. You benefit from only needing to describe your electrical fault once and less time waiting for the emergency electrician to arrive. Not only are we registered with Checkatrade, but also NICEIC who constantly monitor our work standards. This means that you know exactly what you will get – fixed rates with no hidden costs, an electrician who is respectful of your Keston property, fully qualified, trustworthy and a rapid service. All of our work is guaranteed and we are fully insured. You benefit from peace of mind that your electrical emergency is not being dealt with by a ‘cowboy’ outfit. Health and Safety regulations can be a pain but underneath it all, no matter how daft they can sometimes seem to be, they are there for a reason. One of the key things is that your commercial electrical system is regularly inspected and maintained by a qualified commercial electrical contractor. With the complex electrical systems in business premises, even a well looked after system can develop an unexpected fault. Apart from slowing down or temporary closing your business, there is also the danger to staff and visitors through electrocution and fire. With South London Electricians at your side, you will soon be up and running again – from fixing a high voltage three-phase feed to solving why a circuit breaker keeps tripping in the offices – we have it covered. With a network of professional electricians throughout south London, we can get to your electrical emergency FAST! Your business will soon be back up and running and your staff and visitors safe again. We have both domestic and commercial emergency electricians available in all areas of south London, not just the Keston (BR2) area, and can therefore quickly resolve any emergency electrical problem – consumer units, 3-phase supplies, lighting issues, faulty wiring and more.